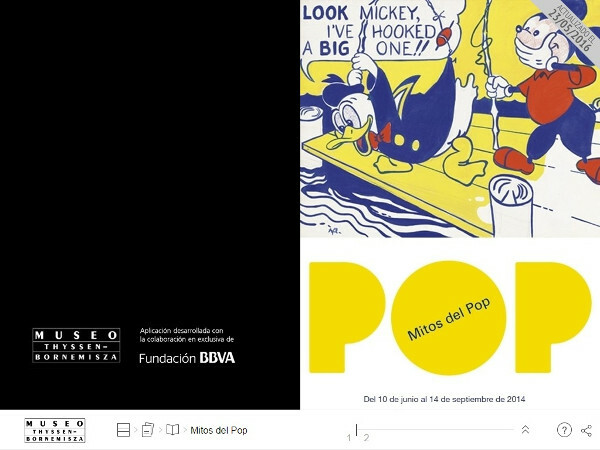 The Museo Thyssen-Bornemisza is presenting Pop Art Myths, the first exhibition on this subject in Madrid since Pop Art at the Museo Reina Sofía in 1992. More than twenty years later, the exhibition’s curator Paloma Alarcó, Head of Modern Painting at the Museo Thyssen-Bornemisza, will offer a reassessment of this artistic trend from a 21st century viewpoint. Featuring more than 100 works ranging from pioneering British Pop Art to the classic American version and its expansion into Europe, the exhibition aims to trace the shared sources of international Pop Art and to undertake a revision of the myths that have traditionally defined the movement. It will reveal how the legendary images created by artists of the stature of Warhol, Rauschenberg, Wesselmann, Lichtenstein, Hockney, Hamilton and Equipo Crónica, among many others, conceal an ironic and innovative code of perception of reality and one that still prevails in contemporary art today. The exhibition is sponsored by Japan Tobacco International (JTI) and will include works from more than fifty museums and private collections around the world, with important loans from the National Gallery of Washington, the Tate, London, the IVAM, Valencia, and the prestigious Mugrabi Collection in New York, to name but a few.